In May 2012, the International Space Station's robotic claw, the Canadarm2, caught and secured the first commercial spacecraft to ever dock with the ISS: SpaceX's Dragon capsule. The bullet-shaped vehicle flew to the ISS carrying cargo for its crew, making history for the private space sector in the process. SpaceX has grown leaps and bounds since then, signing contracts with NASA and other government agencies and developing more advanced technologies for space travel. It's even in the midst of designing Dragon version 2, which, unlike its unmanned predecessor, will be able to fit up to seven passengers. While Elon Musk's company is the most well-known commercial spaceflight firm today, it's hardly the only one. The private space industry is huge and it continues to grow; read on to know more about it. Before President Ronald Reagan signed the Commercial Space Launch Act of 1984, companies could only rely on NASA to send payloads (like satellites) to space. This federal law enabled entities to pay private operators to ferry cargo outside the planet through one-time-use or expendable launch systems. The Launch Services Purchase Act of 1990 opened up even more opportunities for private space firms: It straight up ordered NASA to buy launch services from commercial companies. It wasn't until recently that big players started making headlines, though. Perhaps it was the combination of their top execs' commanding presence (e.g., Elon Musk of SpaceX and Richard Branson of Virgin Galactic) and the demise of NASA's space shuttle program that propelled them into the spotlight. Or maybe it's all because of their out-of-this-world (pun totally intended) ideas. The ongoing march of technological progress assuredly doesn't hurt. Regardless, we hear far more about commercial spaceflight nowadays than ever before. Wired called 2012 the year of private space, as it was particularly filled with huge accomplishments and announcements from various companies. In addition to the SpaceX Dragon's success, several private firms announced their far-out projects. James Cameron-backed Planetary Resources, for instance, revealed its plans to mine asteroids for precious metals; Mars One first revealed its audacious dreams of giving volunteers one-way tickets to the red planet to build the first Martian settlement within the same year. Then there's Branson's Virgin Galactic, which started selling tickets around the same time for suborbital flights to the general public for only $200,000. A pittance! These commercial spaceflight companies operate independently from NASA, but many of them have existing contracts with the agency to deliver cargo to space. Unsurprisingly, one of those firms is SpaceX, which is working through a $1.6 billion deal for 12 resupply missions. The other is Virginia-based Orbital Sciences Corp, which has a $1.9 billion contract for eight cargo flights. The government agency's also funding several private firms through the Commercial Crew Program, formed to develop a new spacecraft that can ferry astronauts to the ISS. And the US is in dire need of just such a spacecraft: ever since NASA's space shuttles retired, it's been paying Russia $70 million per seat on a Soyuz spacecraft to take American astronauts to the space station. That agreement is currently on ice while the US and Russia argue about politics. 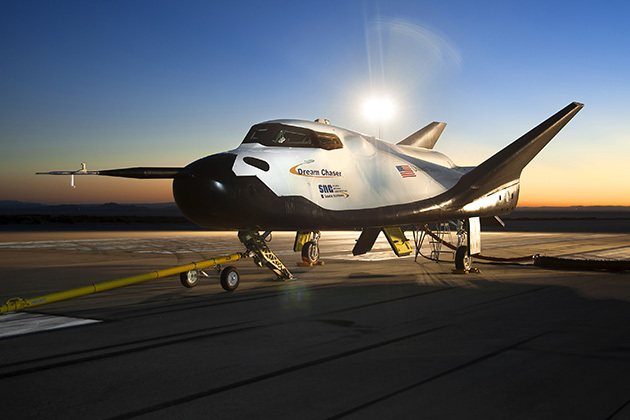 NASA funds four different companies under the Commercial Crew Program, with each working on a space taxi of their own. 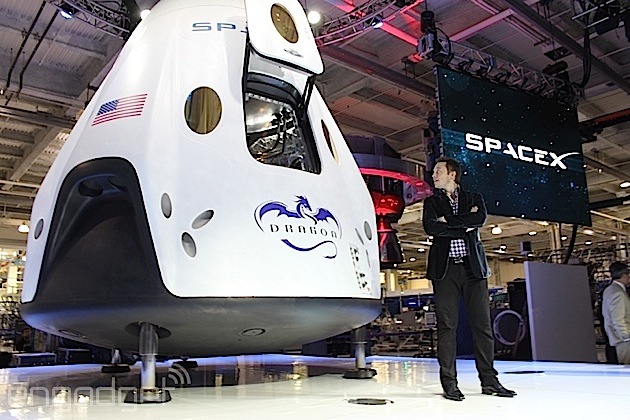 According to the latest news out of the CCP headquarters, SpaceX is already preparing to test whether its Dragon V2 manned spacecraft can withstand all the force it's bound to encounter during launch and re-entry. Another company, called Blue Origin, will soon do an interim design review of its spacecraft's subsystems, while Sierra Nevada Corporation recently tested the main propulsion and control systems of its creation, the "Dream Chaser." Then there's Boeing, which is currently reviewing whether the parts of its CST-100 spacecraft are tough enough for extensive testing that simulates space travel. Sadly, Congress has ordered NASA to cut two companies out of the Commercial Crew Program, so all the participants are now vying for the two remaining slots. Boeing has even announced that it's letting 215 people working on the CST-100 go if NASA drops it from the program. In addition to all these, the agency has contracts with other firms for projects unrelated to manned spacecraft development, like an inflatable module for the ISS that it ordered from a company called Bigelow Airspace. Most commercial space companies aim to offer rocket launches and space trips for lower prices than ever before. SpaceX's Falcon rocket launches, for instance, cost just half (sometimes even just a fourth) of what it would've cost in the past. In addition to offering affordable rocket launches to anyone, the company has its hands full for the next few years, developing a reusable rocket called Falcon 9-R and another one with huge payload-to-orbit capacity called Falcon Heavy. Once, it also showed off a system that allows engineers to design rockets à la Tony Stark: with hand gestures through a Leap Motion controller. It ain't all sunshine and rainbows at SpaceX, though -- Musk recently accused the military of bribery after it granted a contract for 36 rocket launches to rival company United Launch Alliances. The offices of Virgin Galactic must also be extremely busy (by the way, the company was formed all thanks to a kid who called a children's show when Branson was a guest). It recently just inked a deal with the Federal Aviation Administration to help it determine clear guidelines for any suborbital spaceflights that take off in the US -- flights that will one day carry celebs like Lady Gaga and Justin Bieber. As mentioned earlier, Mars One still insists that it can make the first-ever human settlement on the red planet happen... with a little help from reality TV. Many other low-key companies have plans and ideas of their own, as well, like Blue Origin, which secretly test-fired a new engine in November 2013. We'll also keep our eyes peeled for future news and updates, so make sure to check our space page whenever you visit.